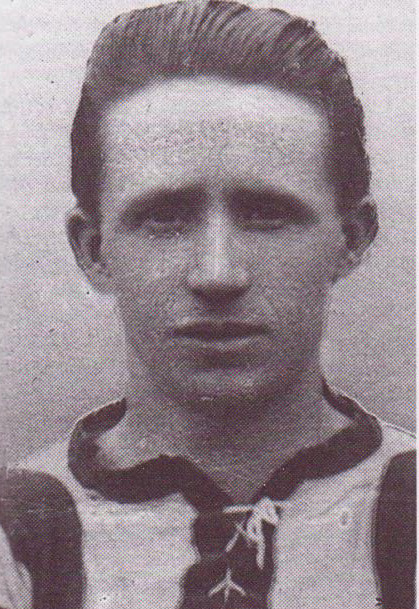 Lounds commenced his football career with Silverwood Colliery and he joined Second Division Gainsborough Trinity in 1911 and played in twenty-three League games for them in his first season with the club in which they lost their Football League status, but he continued to play for them in the Midland League. Lounds guested for Leeds City in January 1919 until April 1919, playing twice at Outside Left and four times at Outside Right. He was signed by Leeds City in August 1919 for �, making his debut for them at Bloomfield Road against Blackpool on 30th August 1919 and played all eight of their games at Outside Right before they were suspended by the Football League and the club came to an end. He was one of the Leeds players who were sold at the Hotel Metropole auction in October 1919 when he was sold to Second Division Rotherham County for �0. He scored six goals in eighty-nine League games and also played in two F.A. Cup ties and stayed at Millmoor until 1923. He joined Third Division North Halifax Town in May 1923, where he finished his football career after making five League appearances.